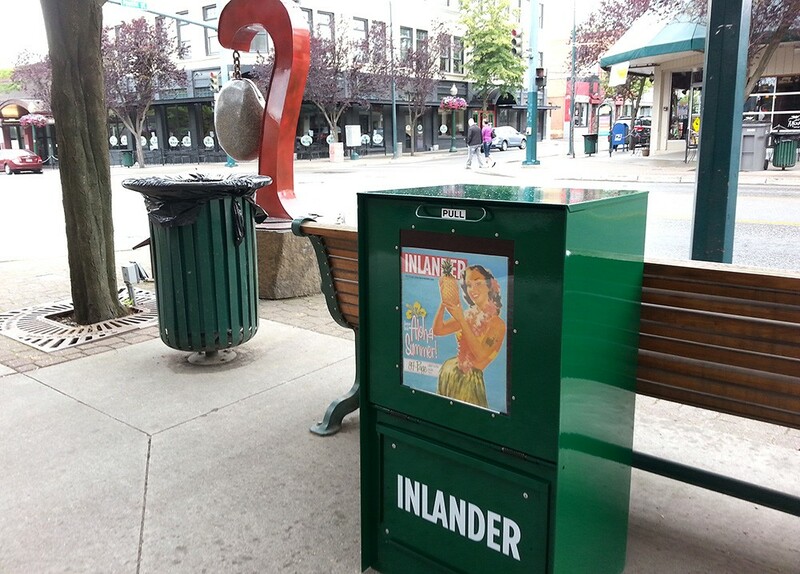 About a year ago, the Inlander got its first outdoor distribution boxes and started finding homes for them around Spokane. 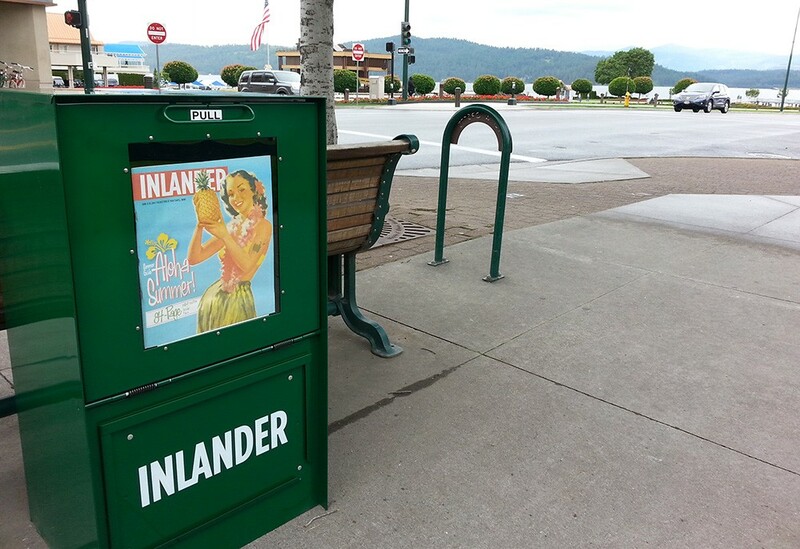 Now the boxes have reached downtown Coeur d’Alene — where city ordinance requires them, like all other media boxes, to be emerald green. The signature Inlander red is eye-catching, but that green is growing on us, especially with this week's pretty Summer Guide cover. Find these two on Sherman Avenue in front of Hudson’s Hamburgers near 2nd Street and Sports Cellar near 4th Street.